If you’re looking for the perfect venue for your corporate event, you should seriously consider hosting it in a marquee. Where regular venues restrict you on things like lighting, sound and design, a marquee gives you a blank canvas to create the perfect party destination. You can personalise it to your exact requirements and ensure that the marquee reflects the company branding exactly as you want it. You can use fabric drapes, add pieces of art and even include plants and shrubbery. Whatever theme you have in mind – whether that’s a chic, black tie affair or a seriously fun circus event – Buchannan can help with the aid of an easily adaptable marquee. We’ll work with you every step of the way so that you can get the theme you really want. We understand the needs of our corporate clients, so we go out of our way to offer a professional, bespoke service, providing you with a superior solution. The planning process will involve an initial site survey and a CAD drawing, followed by a full quotation for your approval. This allows us to work out exactly what you want and how we can go about achieving it for you. From then on, we’ll work with you to meet the requirements, so that your corporate event in a marquee looks and feels professional. Most ground surfaces can be used with little or no damage being inflicted, so tennis courts, hard standings, grass, concrete and tarmac can all be used with no problems. Of course, the private premises of the client can also be used, so if a warehouse is more suitable, Buchannan can work with this. 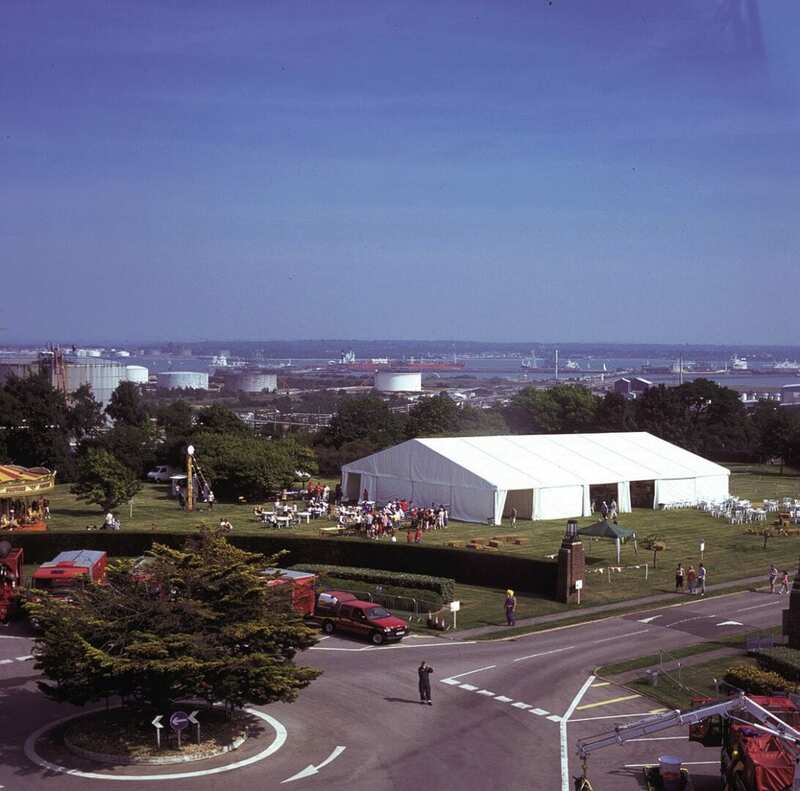 Corporate events can include conferences and AGMs, product launches, fashion shows, fun days, trade shows, sporting events and hospitality events, all of which can be perfectly managed in a marquee. The options really are endless, it’s just a case of deciding what design you want. If you need a large marquee with windows and a grand entrance, we can certainly accommodate you. However we also stock smaller marquees for hire which are ideal for events such as trade shows and fun days. We’ll go through pricing with you to ensure it meets your budgets and then work closely with your plans to ensure the catering, interior design and order of the day are going to fit in properly. Whether you want ornate fairy lights covering the ceiling, or a specific dance floor area, Buchannan will sort it for you. We can also arrange for additional facilities including catering and toilets, so that the whole event is taken care of effectively and professionally. We have worked with a number of large clients in the past and our experienced, highly trained team are used to dealing with all manner of events. For more information or to book a marquee for hire, please contact us for a quote. We’ll be happy to go through everything with you and will ensure your corporate event is one to remember for all the right reasons.